Tony Wendice is a professional tennis player who lives with his wife, Margot, in a London flat. Margot get bored since Tony is gone most of the time and starts having an affair with Mark Halliday, an American writer. Tony wants to retire from tennis to spend more time with Margot, but he soon discovers her affair with Halliday. 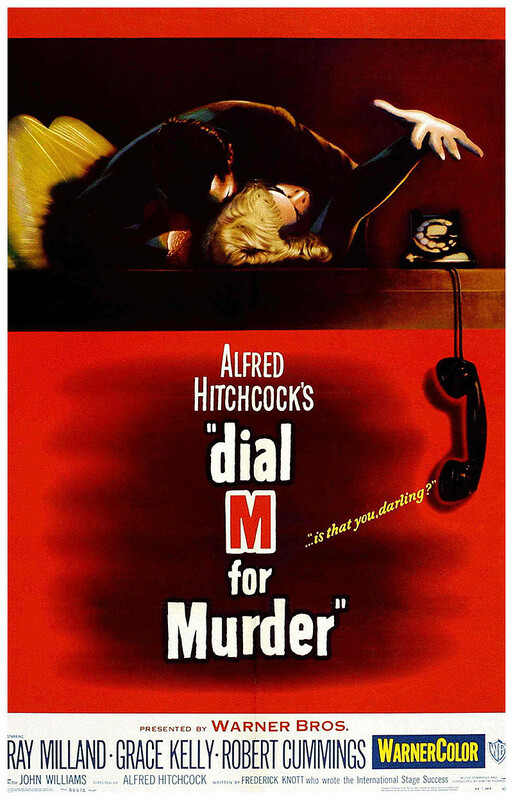 Incensed, Tony concocts a scheme with Charles Swann, a college buddy, to murder Margot so that Tony can inherit her money. Swann is not initially receptive to the murder scheme, so Tony has to blackmail him into committing the murder. Tony sets up the intended night of the murder by taking Mark to a theater performance and leaving Margot alone at home. Swann is supposed to enter the flat and kill Margot, but all does not go as planned.